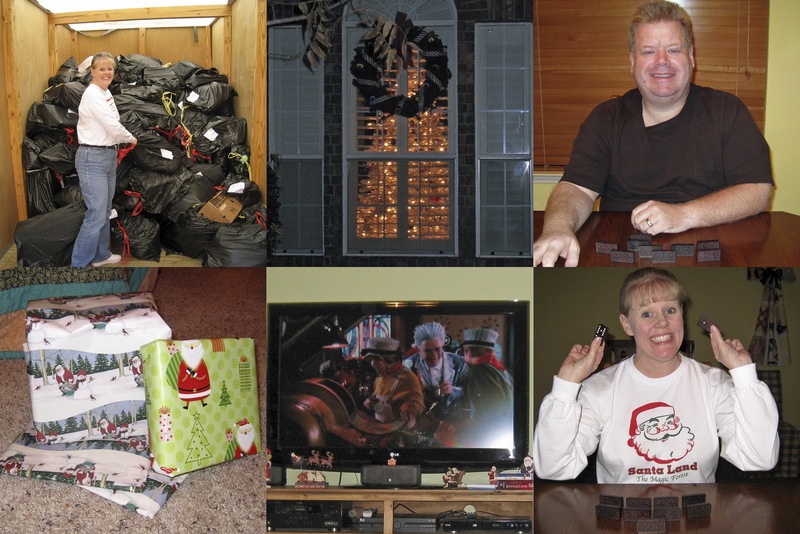 I volunteered three hours today helping unload and sort donations for needy families. We watched the Santa Clause 3 movie this afternoon, played dominoes, and wrapped a few last minute gifts for our family get-together Saturday (even after I'm all finished, I tend to pick up things for the nieces & nephews!). I baked a Delmonico Cake for Mama's birthday, which we'll also celebrate on Saturday. I've had several comments and email requests about some of the desserts I've mentioned lately, so I thought today I would share a few of those recipes. I have all my favorites dessert recipes scrapped on 6x6 recipe cards and all together in a 6x6 album. 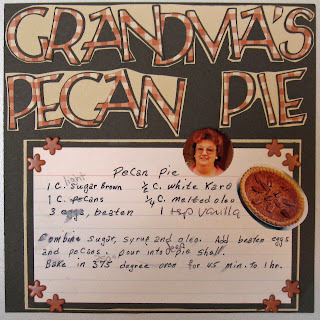 The first recipe is Grandma's Pecan Pie. I used the original card she wrote for me many years ago and have added in a few notes to myself over the years. 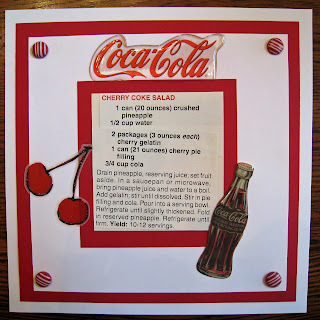 This second recipe is for Cherry Coke Salad, and I believe it came from a Taste of Home magazine. 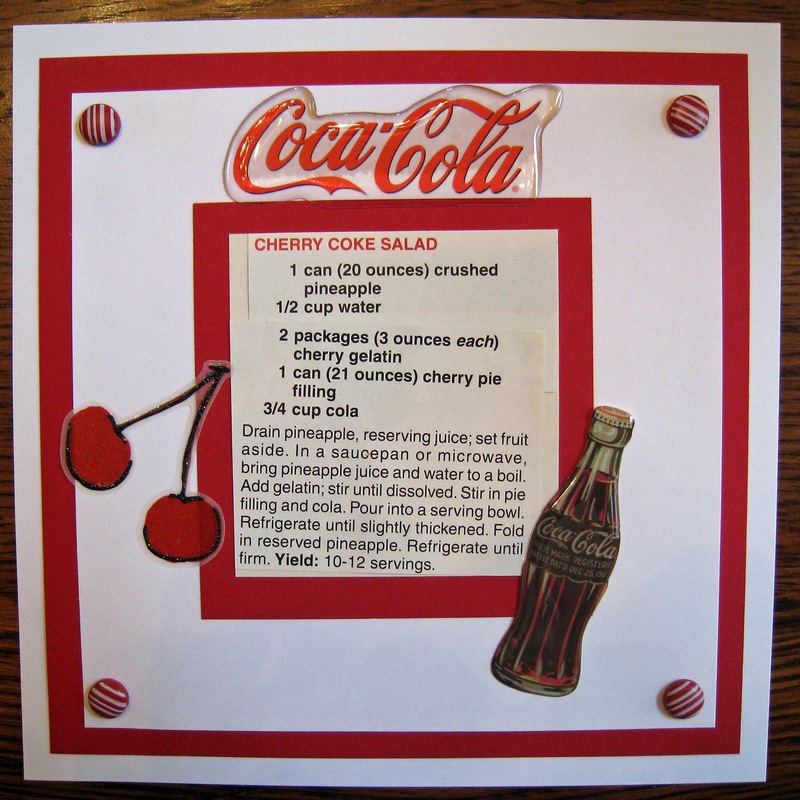 The recipe calls for cola, but of course I only use Coca-Cola - the Real Thing! 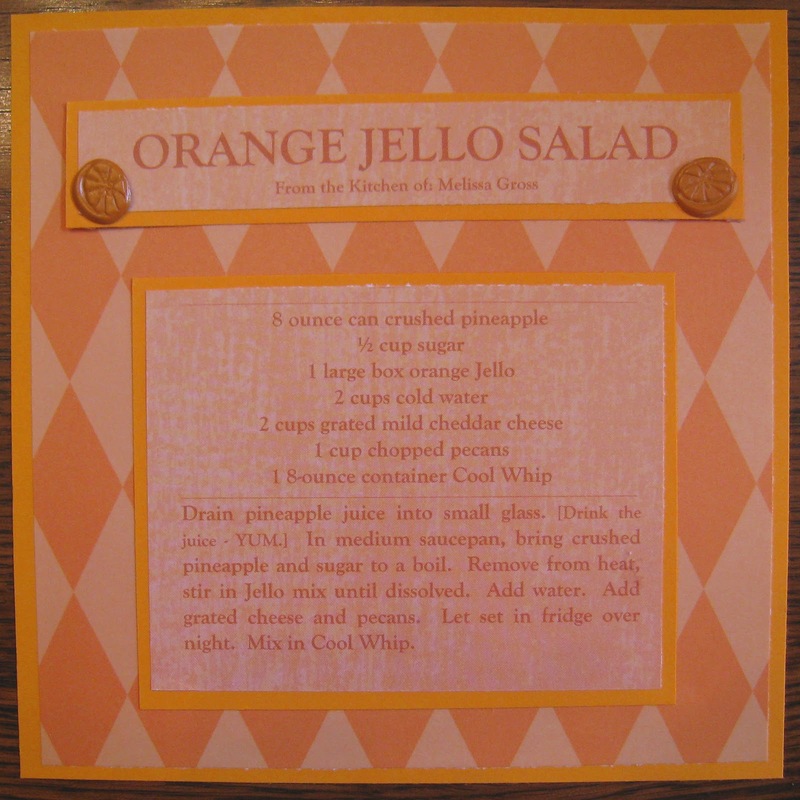 The third recipe is for Orange Jello Salad and I've had it for 20 years or so. This is the one Mama always requests that I make for any occasion! I like to make it the day before and then mix in the cool whip on the day I'll be serving it to ensure the jello is set up completely. 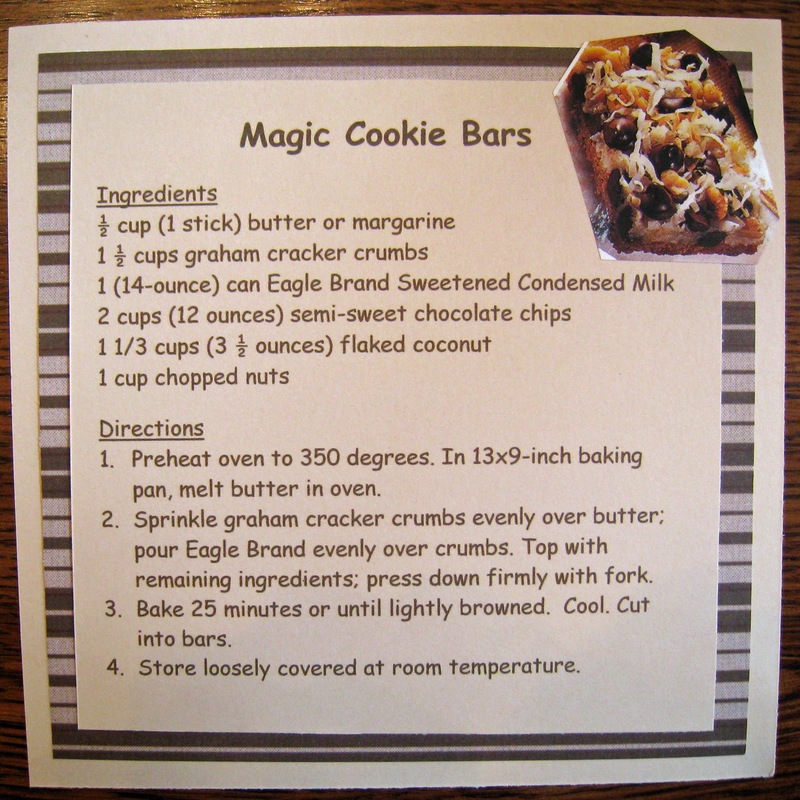 And the last recipe for today is Magic Cookies Bars. 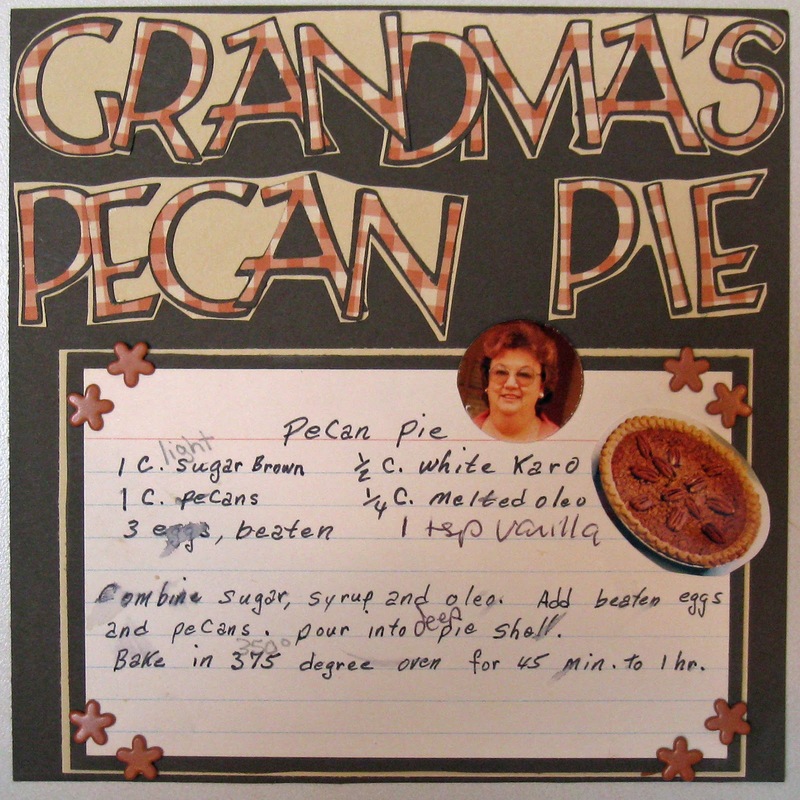 This is an Eagle Brand recipe and has been a favorite of my family over the years. I remember one year at Thanksgiving or Christmas, most of the family was on the back porch and I was helping Mama clean up in the kitchen. 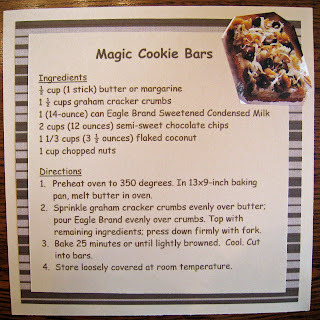 I stuck my hand out with the plate that had been full of Magic Cookie Bars and said, "Does anyone want this last Magic Cookie Bar?" There was a huge rush to the door and I thought my hand might be taken off as they fought after that last one! If you try any of these recipes, please let me know what you think! I made your Magic Cookies but didn't read the directions close enough ... I missed the part about pressing down ingredients with a fork. Now I understand why they were a tad crumbly ... it doesn't effect the taste tho and I love them. Thanks for sharing your recipe with us! Healthy Living Weekly Post: Maintaining!